Year 5 visited Jodrell Bank this week for our school trip. We had a brilliant time and carried out a lot of interesting experiments. The children showed off their own knowledge of space that they have learnt in school and learnt a lot more on the trip. Miss Longley and Miss Barclay were very proud and impressed by the children! Please enjoy all the pictures. Prime VR came into school to give the children a virtual reality experience. 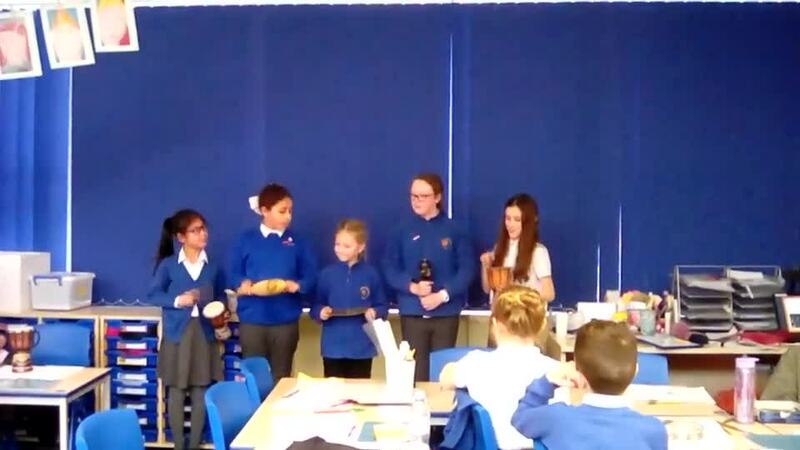 In year 5, we looked at all different aspects of space to help launch our new science topic! 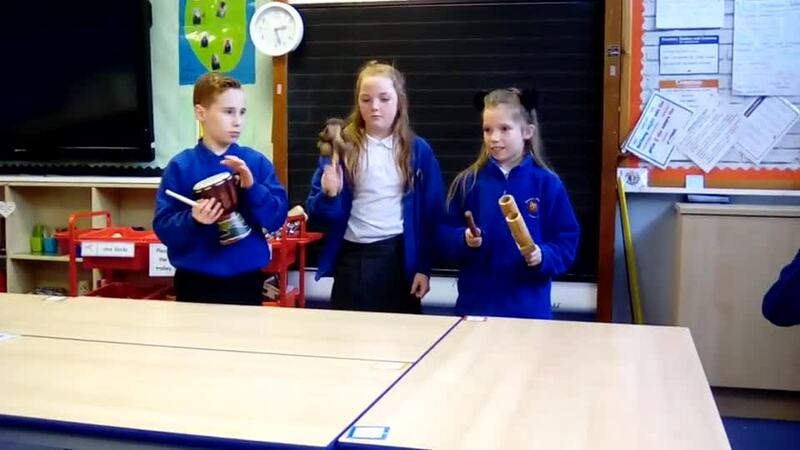 The children really enjoyed it and just kept saying WOW! 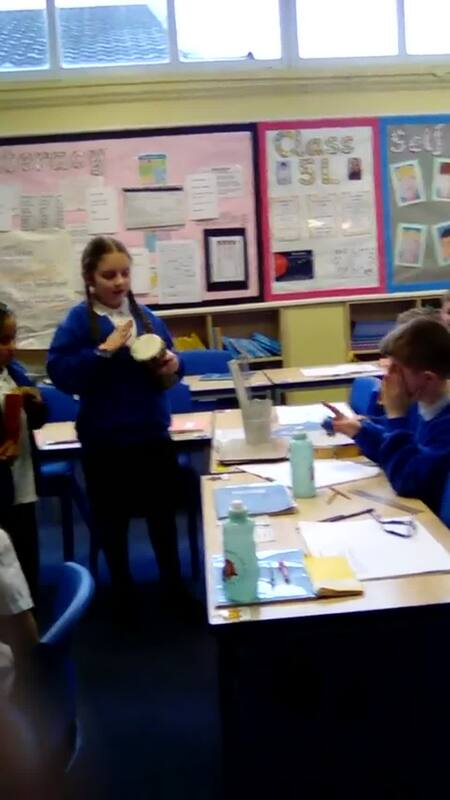 During Science Week, year 5 have taken part in lots of exciting activities. Today, we were able to meet (and hold) some different animals. It was very interesting and we learnt a lot about each of them! As part of science week, we had a visit from Professor Brainstorm. He did a variety of science experiments which were fun to watch! 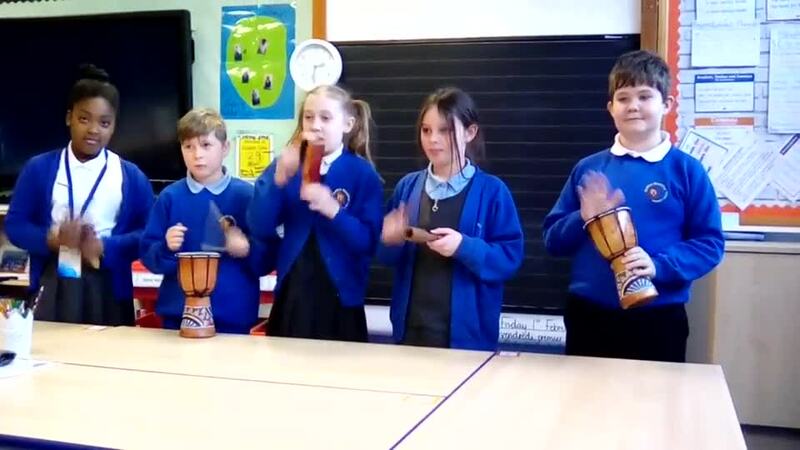 In Literacy, our new topic is tales from other cultures. We are looking currently at the Scottish folk tale The Selkie Bride; we created a story map and made up actions to help us remember the story well ready for our writing. 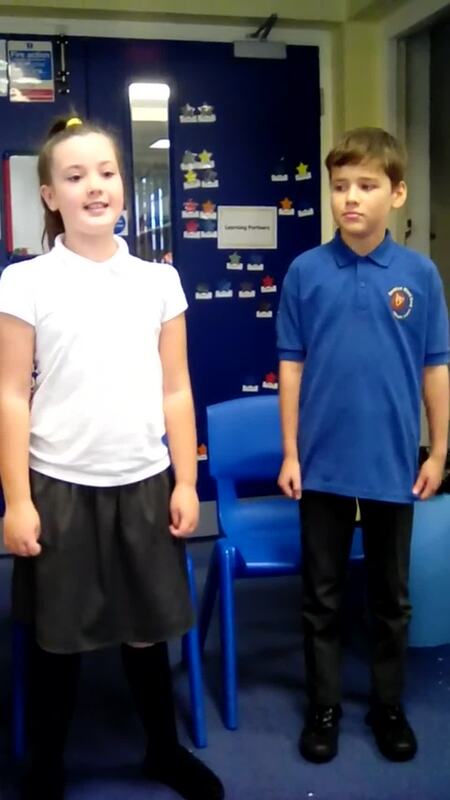 In Year 5, our History topic has been 'Famous Local People'. 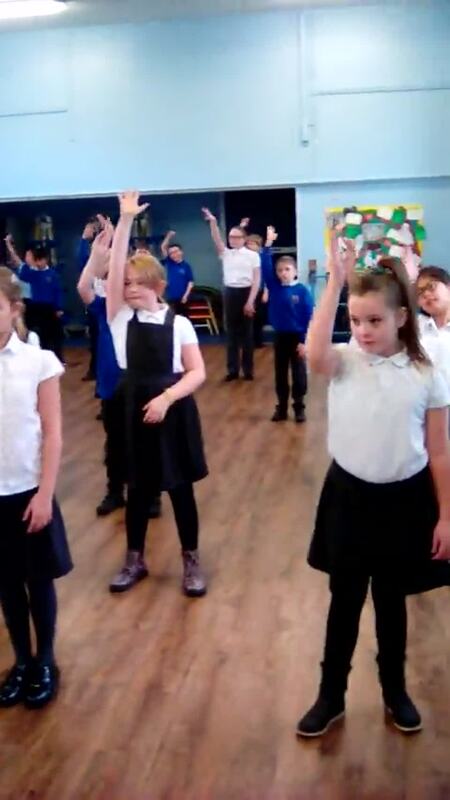 Throughout, we have learned about many people from Manchester that are famous for their achievements such as Emmeline Pankhurst, Alan Turing and L S Lowry. 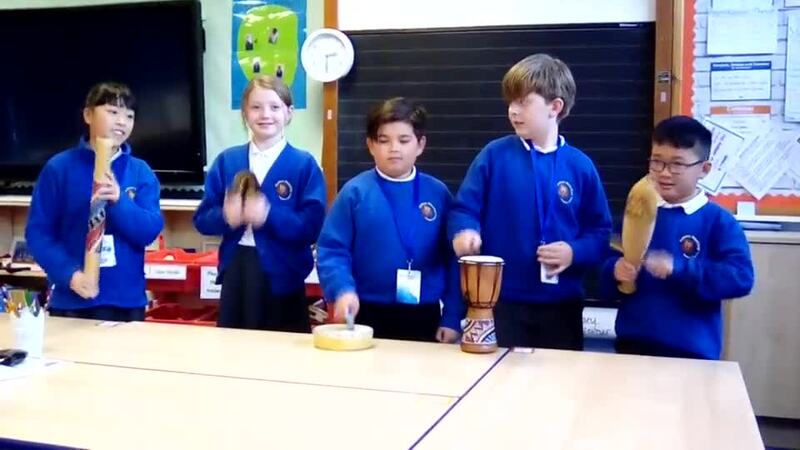 We also spent an afternoon learning all about the band 'Oasis'. 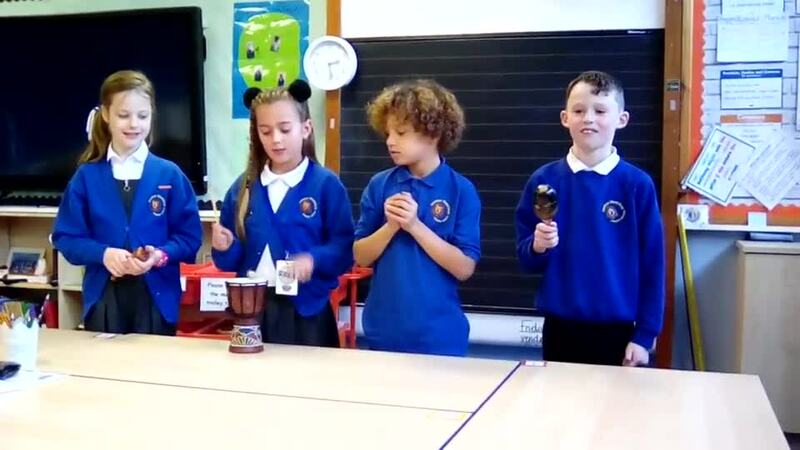 We looked at some of their music and their greatest achievements, then we created our own News Round segment about them, using the information we had learned. 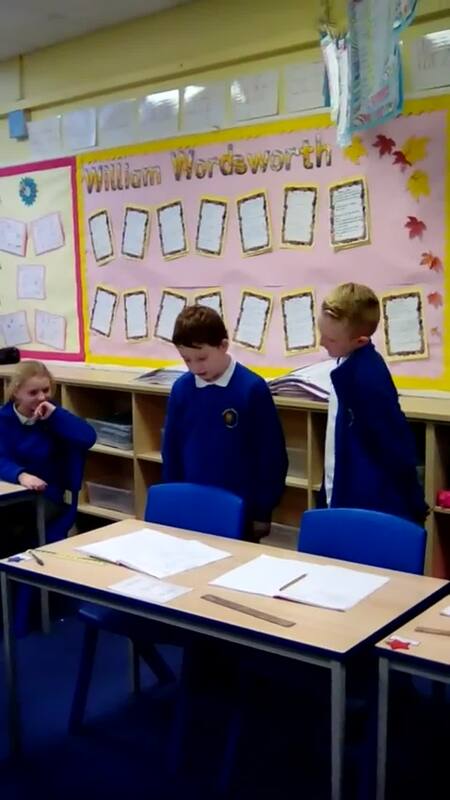 We had time to make a script, then to present to the rest of the class in front of a green screen! 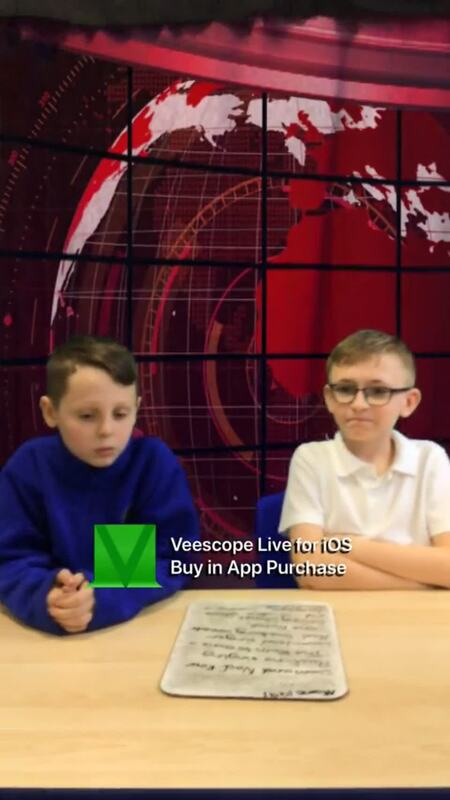 The green screen was used to make it look as if we were really on the news. 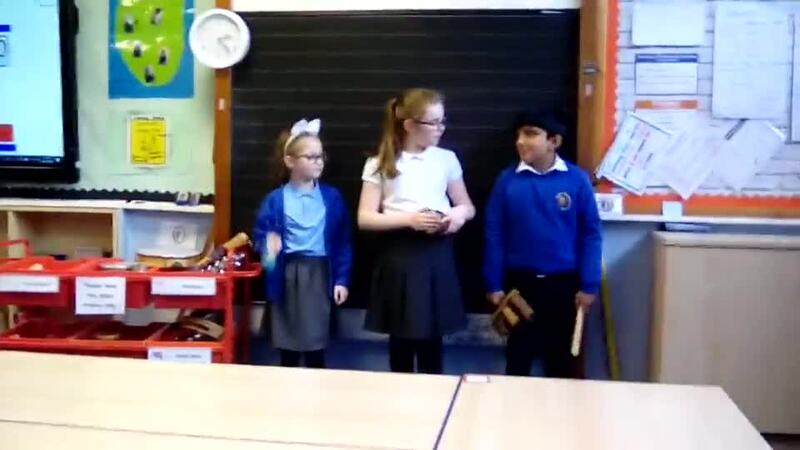 We all had a fantastic afternoon and did a brilliant job of presenting to our target audience. 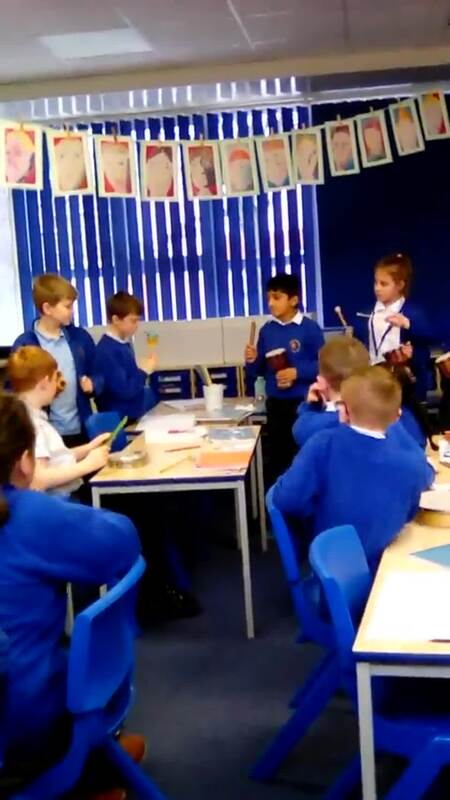 To celebrate world book day we had the library service come into school to do a special workshop with us. We listened to an extract from one of David Walliams' books and created our own spitfire planes. Stockport Grammar host an annual year 5 art competition. The children chosen to represent our school were invited to an awards evening at the school. At the awards evening, the children got to see their art and the other entries displayed and create some art with help from some of the students from Stockport Grammar. Unfortunately, we didn't win but all the children came home with a fantastic goody bag and they should be proud for getting as far as they did! To raise money for our charity this year the World Wildlife Fund (WWF), we all came in dressed as animals. Everyone looked fantastic! Thank you to all the effort put in to make the day so successful. Today, we learned all about Brazil's carnival. 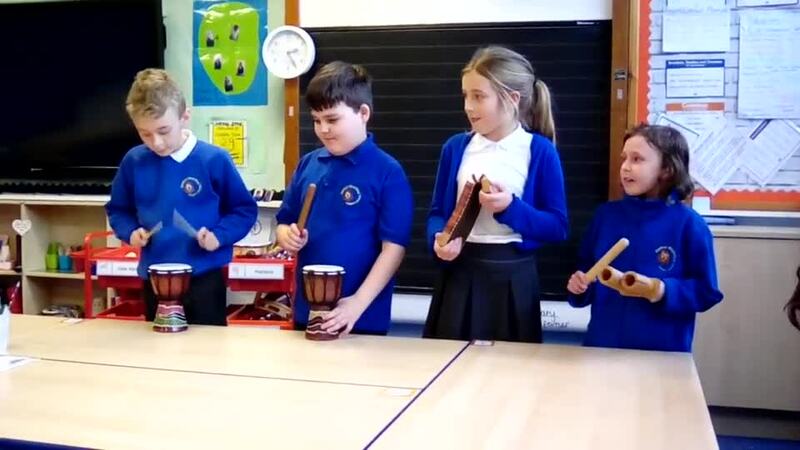 We particularly enjoyed the samba music so we decided to make our own using drums, shakers and tone blocks. 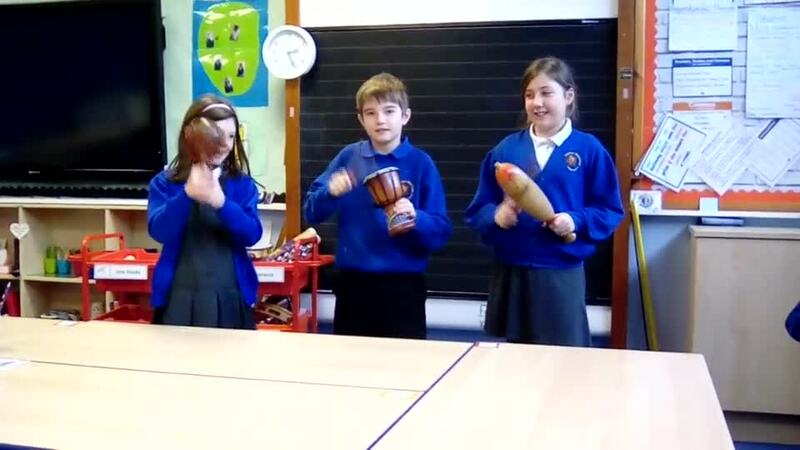 Our focus for culture week is to look at central and southern America. We looked into the Mexican Day of the Dead festival and the traditions of it. 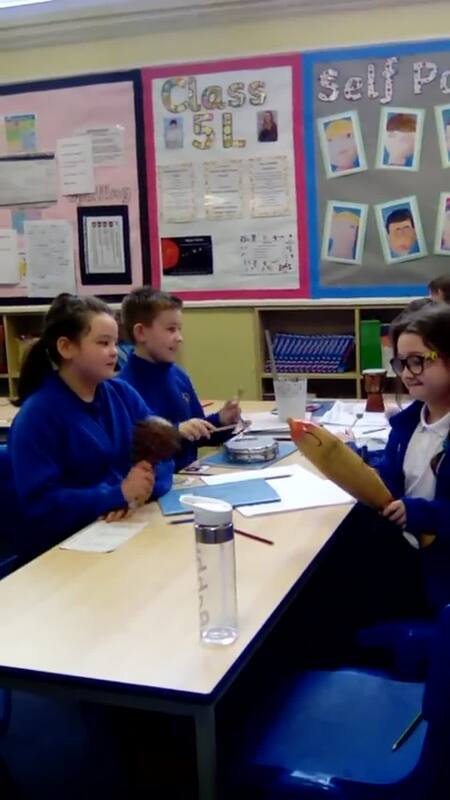 We were inspired by the calacus skeletons so we created our own designs and turned them into candle holders. 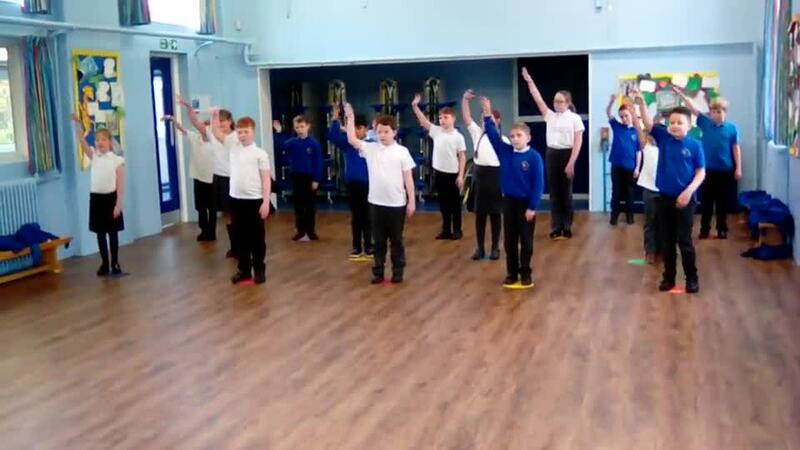 Stockport Grammar School hosts a special competition for Year 5 pupils. As part of the competition, the children had to create a self portrait. Mr Doyle came in to help us and we had a great day creating our artwork! As part of culture week, we made peace mala bracelets. The bracelets represent many religions and cultures and teaches us to treat others as you would like to be treated. 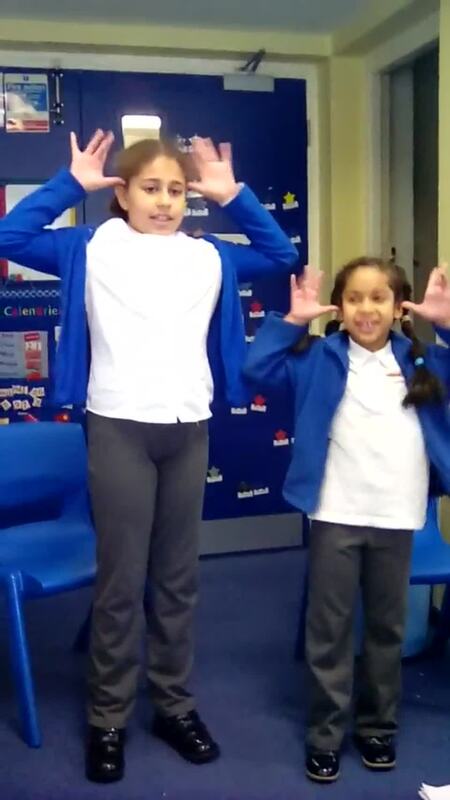 As part of our culture week, we had a special workshop where we learnt all about Chinese New Year. 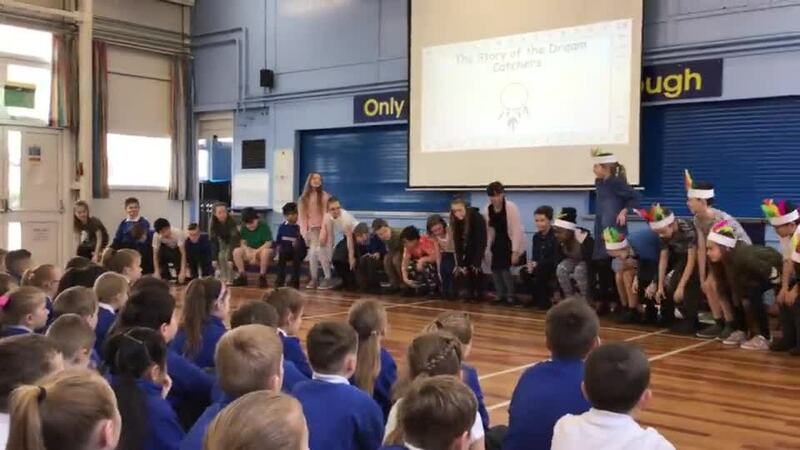 We learnt a dance to celebrate which involved dancing with fans, umbrellas and a dragon! 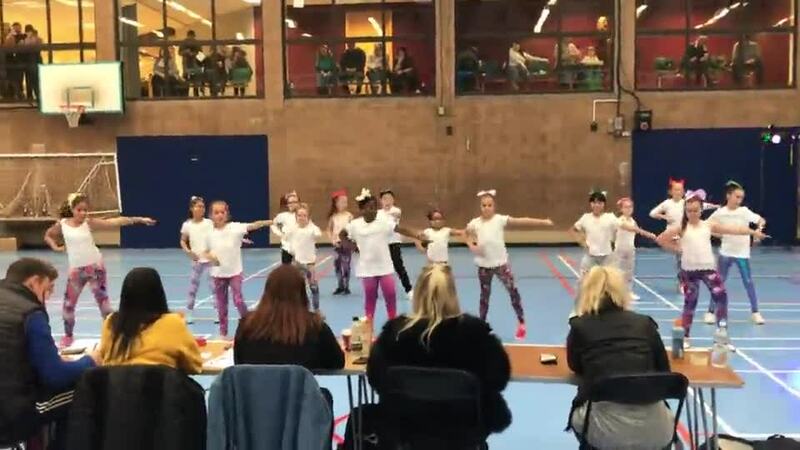 The year 5 dance after school club had the amazing opportunity to go to a dance competition at Copley High School. 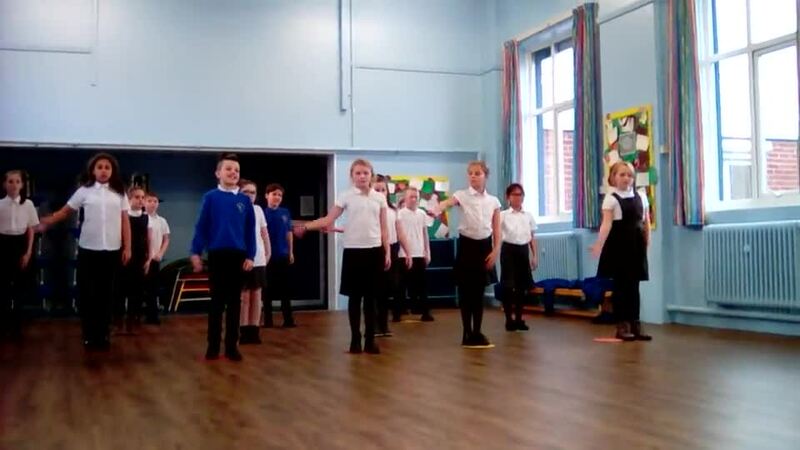 The children worked extremely hard on the routine and did the school very proud. 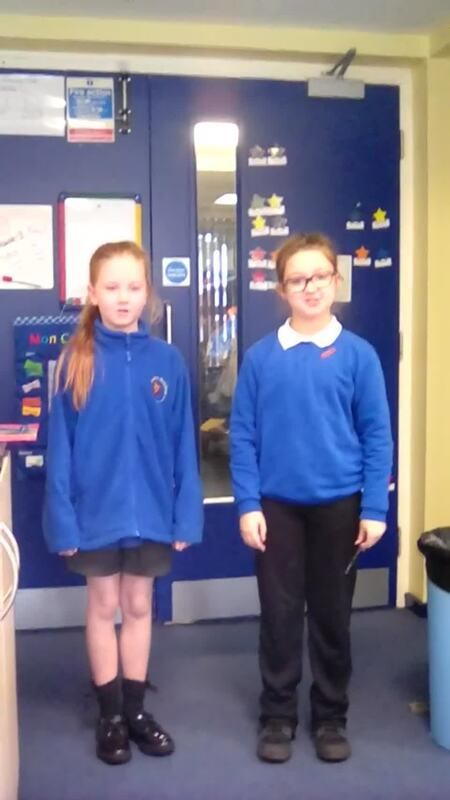 Mrs Biggar and Mrs Chiles who went with them to the competition praised them for their behaviour and performance. 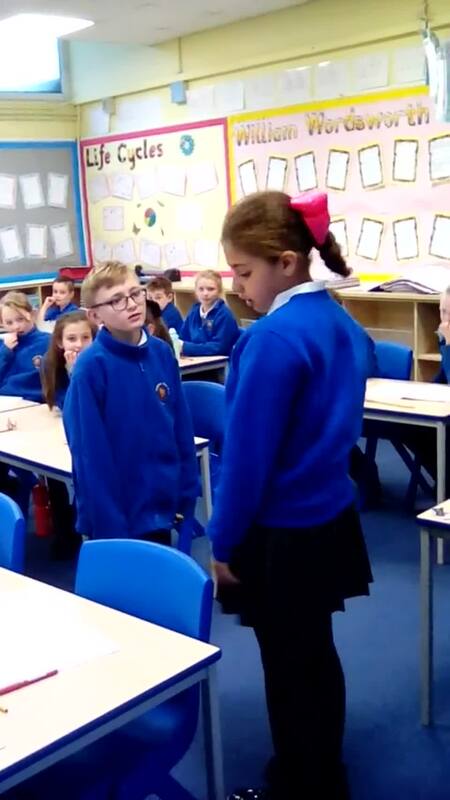 In French, the children have been learning a lot of new vocabulary and have been having conversations in french including asking a variety of questions. We have focused on how to ask someones name, ask someones age and reply to those questions, as well ask learning numbers in French. 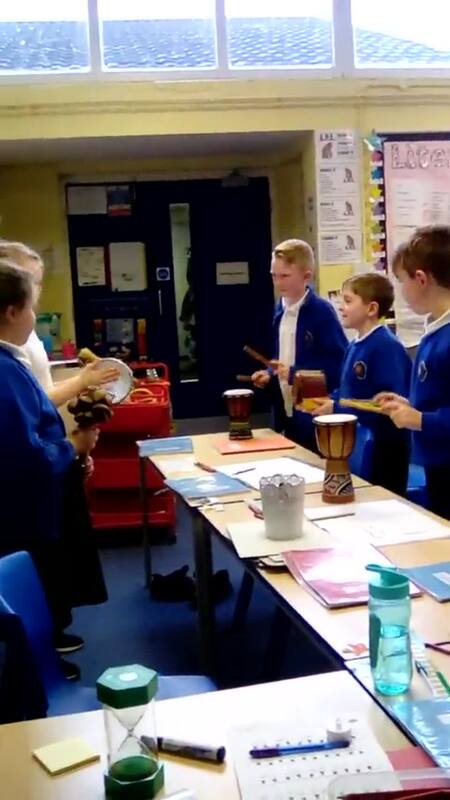 5L had some brilliant conversations and shared them aloud with the class and 5B have learnt a song about how to count in french! Our literacy topic this term has been looking at the poem The Highwayman by Alfred Noyes. The children have written effective character and setting descriptions which are full of similes and metaphors. 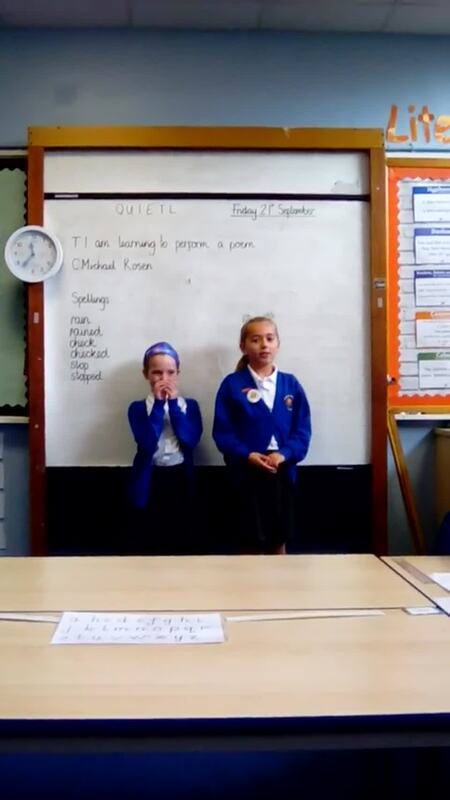 Finally, the children learnt a section of the poem to perform. I hope you enjoy the performances and can see all the hard work they have put into this topic. 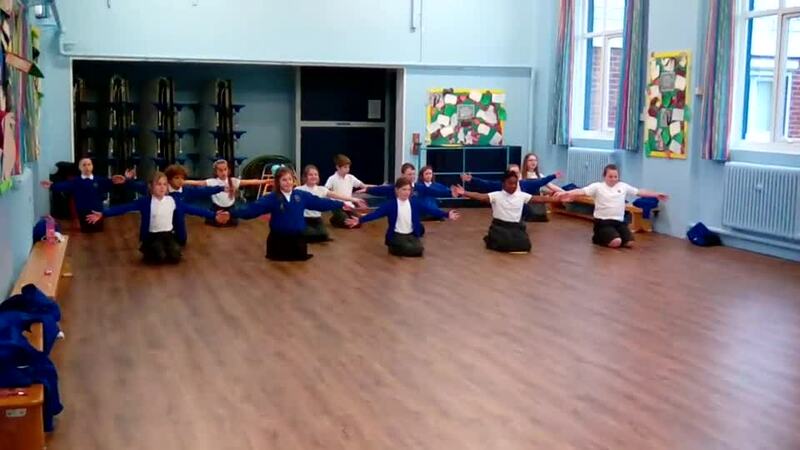 Year 5 took part in a Diwali dance workshop where they learnt a dance in the Bollywood style. 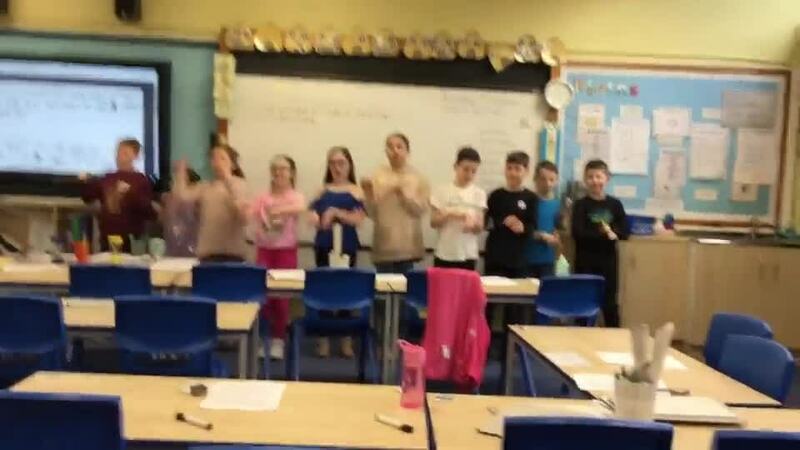 Everyone enjoyed it and I hope you enjoy the dance as much as the class did! To commemorate 100 years since the end of WW1, we had a special visitor in school. He taught us all about WW1 and what life in the trenches was like. 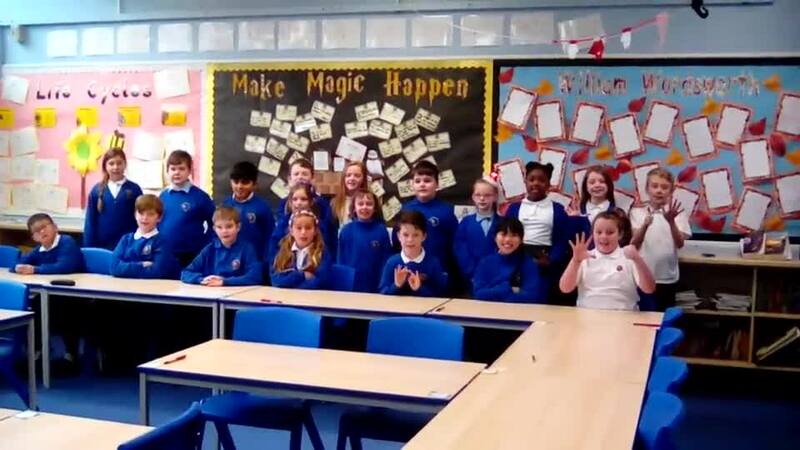 Year 5 have been working extremely hard on their computing this term. They have been making powerpoints based on the Tudors. 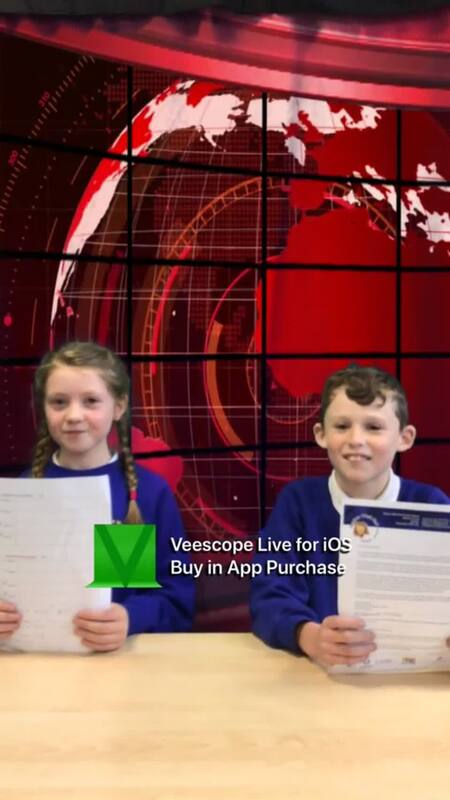 They have learnt a range of skills including changing font, adding borders and adding animations. Year 5 visited Bramhall hall as part of their Tudor topic. They learnt all about how the Tudor family lived and all about the house. The children made nose-gays, Tudor art and attempted doing some Tudor handwriting with a quill and ink. We had a lovely time and we have definitely enjoyed this topic and learnt a lot. 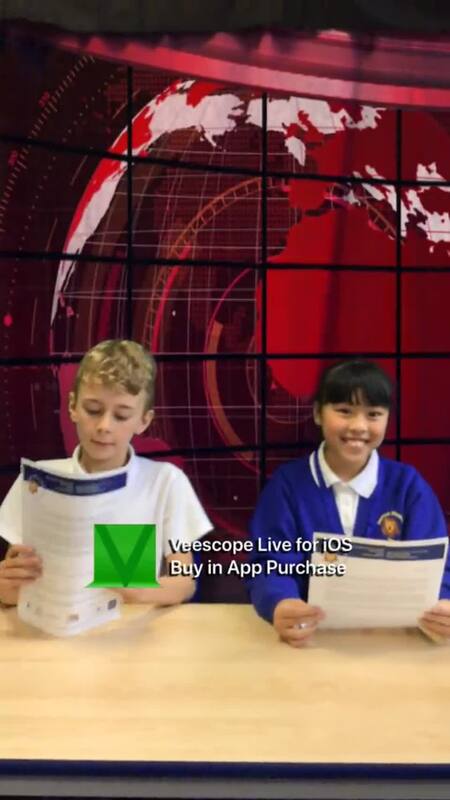 On Monday 24th September, Michael Rosen did a live stream promoting his work. As we are currently studying his poems, we decided to send him an email with the hope he might give us a shout out. 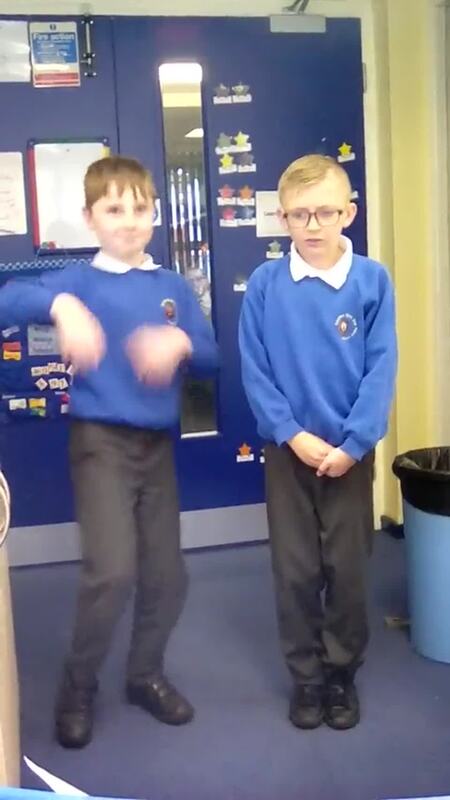 If you skip to 1h 39min, you will hear Michael Rosen reading out an email sent from Miss Barclay and Miss Longley about our topic and how much we have enjoyed it. Amazingly, Michael Rosen even reads out an extract from Aston's poem in 5L. DWE is famous! 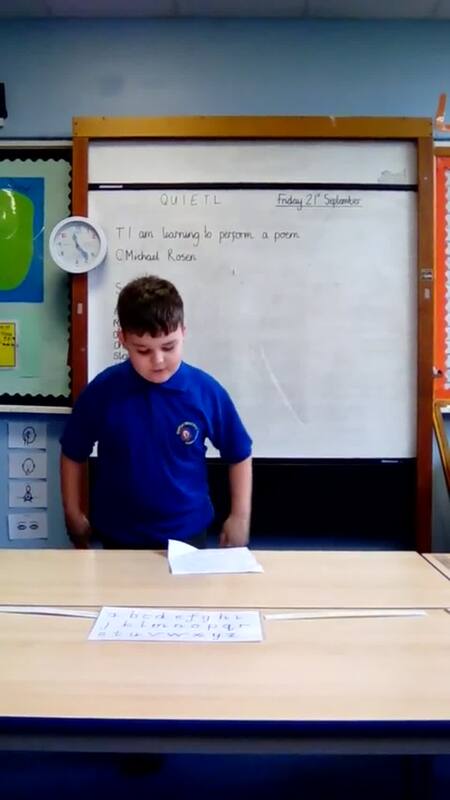 In literacy, we have been looking at the poet style of the poet Michael Rosen. We looked in particular at his poem the bathroom fiddler. We used this poem as inspiration for our own poems and then we performed them for the class. I hope you enjoy our performances. This week in Literacy, year 5 have been writing poems inspired by Roald Dahl. 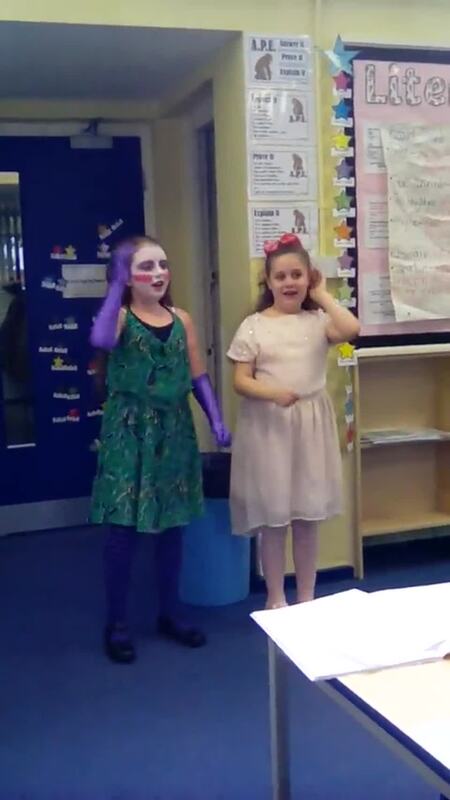 On Thursday, we dressed up as a character from one of his books and performed the poems in a group. Thank you for the time and effort put into all of the costumes, we had a great day and lots of fun watching each other perform a poem!